The cooperative’s payment schedules will be simplified to two payment schedules – First Milk Liquid and First Milk Manufacturing. First Milk has announced a change to its regional milk pool pricing, which will see its payment schedules simplified to just two – First Milk Liquid and First Milk Manufacturing. It will see milk prices ‘harmonised’ at a standard litre of 4.0 per cent butterfat and 3.3 per cent protein, with the April price on this basis being 26.0ppl. 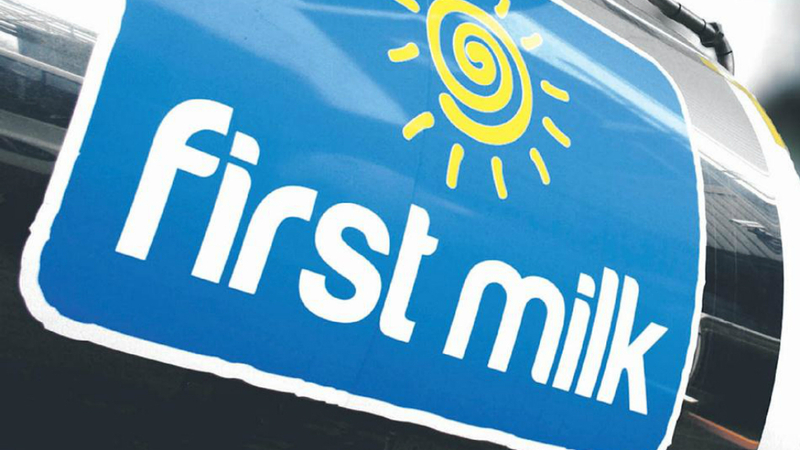 First Milk said the change was in response to member feedback and was ‘fully supported’ by the Member Council and Board. Jim Baird, Farmer Director and Vice-Chairman, said: “Whilst in recent weeks we have seen some recovery in the market, unfortunately, the overall global dairy commodity markets remain weaker than last year, which continues to impact on our returns. “We know that this price drop will be disappointing news for our members and continue to do all that we can to minimise the impact of reductions,” he said. NFU Scotland welcomed the move to the new payment schedules. Milk policy manager George Jamieson said NFUS believed the cooperative should as far as possible have a pricing policy which is ‘transparent, uncomplicated and treats all members, regardless of geography and end use, the same way’. “The strength of a co-op is in bringing members together to draw strength in a common cause,” he said. On price, Mr Jamieson said it was disappointing but not out of line with other processors. “The drop does not reflect the new pricing model, but the downturn in the dairy market, which NFUS believes should be at the bottom of the curve,” he said.